Merry Christmas Eve! 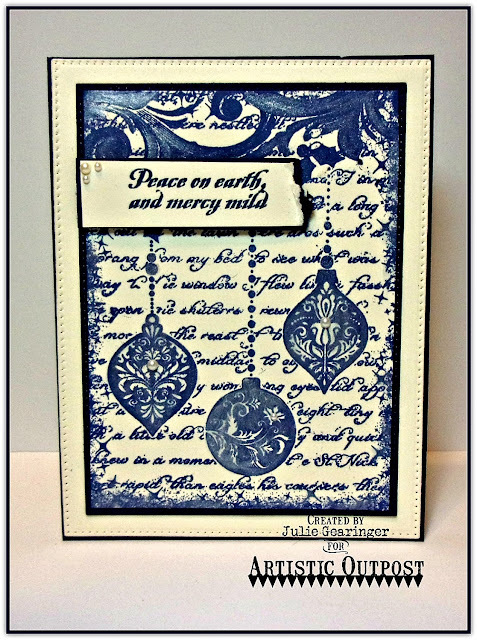 I wanted to share with you another quick Mixed Media Christmas card that I designed using the December 2016 Artistic Outpost (AO) release stamp sets, Christmastime and Gloria (both available at Our Daily Bread Designs). 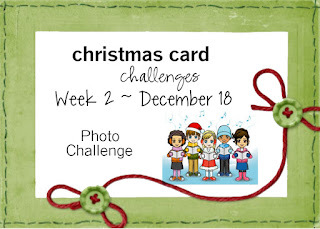 I love participating with online challenges and am linking this card to the My Time To Craft! #336 “Christmas But None Traditional Colours” Challenge as well as the Christmas Card Challenges 2017 #2 Challenge (I was inspired by the blue). 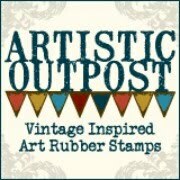 If you have not had a chance to visit The Artistic Outpost Blog or the other challenge sites yet, I encourage you to do so- gorgeous inspiration from my Design Team sisters on the AO Blog as well as the online challenge galleries! 1). Ink the AO Christmastime stamp with an archival navy ink and stamp onto a piece of vanilla cardstock, heat set with a heat tool. 2). Die cut and emboss a piece of navy cardstock using the ODBD Pierced Rectangles Dies, trim the stamped panel and mount onto a die cut . 3). Die cut and emboss a piece of vanilla cardstock using the ODBD Pierced Rectangles Dies, mount onto the navy card base. 4). 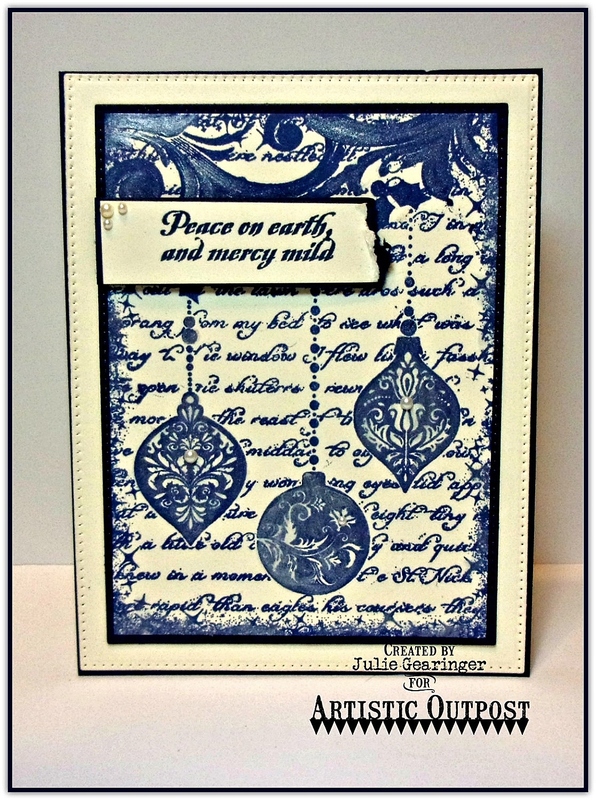 Mount the layered stamped panel onto the card front and use a water brush to lightly apply frost white shimmer paint over the background scroll and ornament areas. 4). Ink the sentiment from the AO Gloria stamp set and stamp onto a scrap piece of vanilla cardstock. 5). Trim the sentiment and tear the edge, mount onto a piece of navy cardstock (tearing the edge to match as well). 6). Mount the sentiment to the card front with dimensional foam and add a few pearls to finish off the card. Quick and easy- perfect for the last minute hand delivered card or for mailing! Thanks again for taking the time to stop by- hugs to all of you and I hope you have a very blessed Christmas! Love your card, I love the layout and the non-traditional color for Christmas. Thanks for playing along with Christmas Card Challenges. Fabulous card!Thanks for playing along at Christmas Card Challenges.